user warning: Table './active5_foxes/cache_filter' is marked as crashed and should be repaired query: UPDATE cache_filter SET data = '<p>August. Seems it was here one day and gone the next. 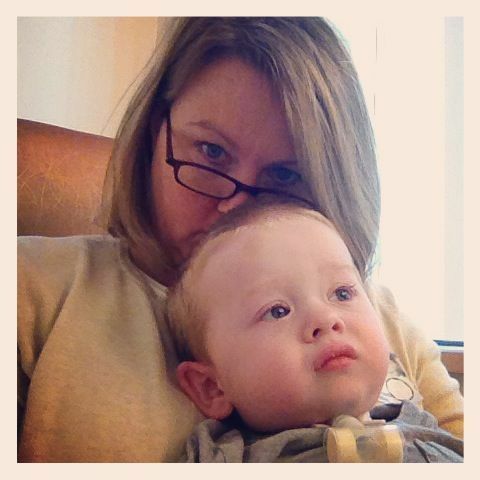 I will try to hit the highlights here...</p>\n<p>First week of August found Nathaniel in same day surgery again for another diagnostic bronchoscopy. His trachea development is stagnant. Still just a pin hole opening through the stenosis and webbing. The doctors were not able to find a cause for aspirating. His trachea did grow in length and we were able to size up from a 3.5 neo tracheotomy tube to a 3.5 pediatric tracheotomy tube. A difference of six millimeters in length.</p>\n<p><img alt=\"\" src=\"http://www.catchingfoxes.com/sites/www.catchingfoxes.com/files/blog/IMG_4110_0.jpg\" style=\"width: 480px; height: 480px; border-width: 5px; border-style: solid; margin: 10px;\" title=\"\" width=\"480\" height=\"480\" /></p>\n', created = 1555819853, expire = 1555906253, headers = '', serialized = 0 WHERE cid = '2:072e67f8a0eb57a3b40129d20da1919c' in /home/active5/public_html/drupal6_multisite/includes/cache.inc on line 108.
user warning: Table './active5_foxes/cache_filter' is marked as crashed and should be repaired query: SELECT data, created, headers, expire, serialized FROM cache_filter WHERE cid = '2:eda68101c87cc01a810a7bf2c10dd5b9' in /home/active5/public_html/drupal6_multisite/includes/cache.inc on line 25.
user warning: Table './active5_foxes/cache_filter' is marked as crashed and should be repaired query: UPDATE cache_filter SET data = '<p class=\"rtecenter\"><img alt=\"\" src=\"http://www.catchingfoxes.com/sites/www.catchingfoxes.com/files/resize/blog/BeFunky_IMG_0856.jpg-486x278.jpg\" style=\"width: 486px; height: 278px; border-width: 5px; border-style: solid; margin: 10px;\" title=\"\" width=\"486\" height=\"278\" /></p>\n<p>I love reading with my children. Here&#39;s a list of what I&#39;ve been enjoying with them this month:</p>\n<p>With Drummer and Dune Buggy for Writing:</p>\n<p><a href=\"http://www.amazon.com/Written-Anything-Lately-Susan-Allen/dp/0761354778/ref=sr_1_1?s=books&amp;ie=UTF8&amp;qid=1380142024&amp;sr=1-1&amp;keywords=written+anything+good+lately\">Written Anything Good Lately?</a> by Susan Allen</p>\n<p>Since they are short, picture books are fantastic lesson starters with older children. After reading the book aloud, we each made a list of genres we would like to explore in our writing this year - one genre for each letter of the alphabet.</p>\n<p><strong>With Drummer:</strong> (9th grader - Our read aloud books tie into his history studies. )</p>\n', created = 1555819853, expire = 1555906253, headers = '', serialized = 0 WHERE cid = '2:eda68101c87cc01a810a7bf2c10dd5b9' in /home/active5/public_html/drupal6_multisite/includes/cache.inc on line 108.
user warning: Table './active5_foxes/cache_filter' is marked as crashed and should be repaired query: SELECT data, created, headers, expire, serialized FROM cache_filter WHERE cid = '2:dc1f3ffb4fa88f8645a9773a760f9138' in /home/active5/public_html/drupal6_multisite/includes/cache.inc on line 25.
user warning: Table './active5_foxes/cache_filter' is marked as crashed and should be repaired query: UPDATE cache_filter SET data = '<p class=\"rtecenter\"><img alt=\"\" src=\"http://www.catchingfoxes.com/sites/www.catchingfoxes.com/files/resize/blog/BeFunky_IMG_0836.jpg-486x384.jpg\" style=\"width: 486px; height: 384px; border-width: 5px; border-style: solid; margin: 10px;\" title=\"\" width=\"486\" height=\"384\" /></p>\n<p>I&#39;m somewhat of an eclectic homeschool mom. Over the last 22 years, I&#39;ve found some favorite publishers, favorite texts, and favorite order of teaching topics to my children. 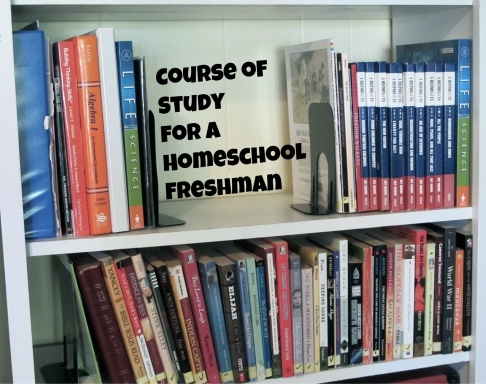 I&#39;ve learned that homeschooling has to first and foremost work for my children and me. We do a lot of reading and writing,&nbsp; a lot of math and critical thinking, a lot of interacting and talking between parents and students. We do very few workbooks. We have a firm daily schedule that serves as a guide through our day so we all know what to expect, but it doesn&#39;t control our lives.</p>\n<p>Drummer is a freshman and will use the following curriculum and texts for his studies this year:</p>\n', created = 1555819853, expire = 1555906253, headers = '', serialized = 0 WHERE cid = '2:dc1f3ffb4fa88f8645a9773a760f9138' in /home/active5/public_html/drupal6_multisite/includes/cache.inc on line 108.
user warning: Table './active5_foxes/cache_filter' is marked as crashed and should be repaired query: SELECT data, created, headers, expire, serialized FROM cache_filter WHERE cid = '2:d27c09892e426638bc926a8274cc4d8a' in /home/active5/public_html/drupal6_multisite/includes/cache.inc on line 25.
user warning: Table './active5_foxes/cache_filter' is marked as crashed and should be repaired query: UPDATE cache_filter SET data = '<p class=\"rtecenter\"><img alt=\"\" src=\"http://www.catchingfoxes.com/sites/www.catchingfoxes.com/files/resize/blog/IMG_0829-486x332.jpg\" style=\"width: 486px; height: 332px; border-width: 5px; border-style: solid; margin: 10px;\" title=\"\" width=\"486\" height=\"332\" /></p>\n<p>We started our &#39;13-&#39;14 school year today! It&#39;s my 22nd year as a home school mom. That is a bit unbelievable to be honest.</p>\n<p>Growing up in Ohio I never started school before Labor Day so for my internal calendar, we&#39;re right on time even though most of the schools in our community returned weeks ago. Our family accepted the foster pre-adoptive placement of an infant this summer and life has been a bit crazy. I&#39;ll definitely be writing more on this sweet little guy in the future, but for now I want to focus some of my posts on getting our family back into our homeschool routine.</p>\n', created = 1555819853, expire = 1555906253, headers = '', serialized = 0 WHERE cid = '2:d27c09892e426638bc926a8274cc4d8a' in /home/active5/public_html/drupal6_multisite/includes/cache.inc on line 108.
user warning: Table './active5_foxes/cache_filter' is marked as crashed and should be repaired query: SELECT data, created, headers, expire, serialized FROM cache_filter WHERE cid = '2:fc3cad533973a898b1da8a9e81569786' in /home/active5/public_html/drupal6_multisite/includes/cache.inc on line 25.
user warning: Table './active5_foxes/cache_filter' is marked as crashed and should be repaired query: UPDATE cache_filter SET data = '<p class=\"rtecenter\"><img alt=\"\" src=\"http://www.catchingfoxes.com/sites/www.catchingfoxes.com/files/resize/blog/IMG_0178-486x324.jpg\" style=\"width: 486px; height: 324px; border-width: 5px; border-style: solid; margin: 10px;\" title=\"\" width=\"486\" height=\"324\" /></p>\n<p>I grew up as a year around resident in <a href=\"http://www.lakesideohio.com/\">Lakeside, Ohio</a>. It is one of the few existing <a href=\"http://en.wikipedia.org/wiki/Lakeside,_Ohio\">Chautauqua</a> in the United States and the unique setting definetly shaped who I am today.&nbsp; Reflections of experiencing Lakeside, both as a summer and winter resident in my childhood and as a returning vacationer, has filled many journals.</p>\n', created = 1555819853, expire = 1555906253, headers = '', serialized = 0 WHERE cid = '2:fc3cad533973a898b1da8a9e81569786' in /home/active5/public_html/drupal6_multisite/includes/cache.inc on line 108.
user warning: Table './active5_foxes/cache_filter' is marked as crashed and should be repaired query: SELECT data, created, headers, expire, serialized FROM cache_filter WHERE cid = '2:fb1b05dacff6ae40b586bce712a5a798' in /home/active5/public_html/drupal6_multisite/includes/cache.inc on line 25.
user warning: Table './active5_foxes/cache_filter' is marked as crashed and should be repaired query: UPDATE cache_filter SET data = '<p class=\"rtecenter\"><img alt=\"\" src=\"http://www.catchingfoxes.com/sites/www.catchingfoxes.com/files/blog/Picture%202_0.png\" style=\"height: 127px; width: 303px; border-width: 5px; border-style: solid; margin: 10px;\" title=\"\" width=\"303\" height=\"127\" /></p>\n<p>It&rsquo;s been a while since I&rsquo;ve posted on teaching writing. Life is full. Caring for my home and family, homeschooling our two sons still at home, my graduate classes, and process of becoming foster-adoptive parents has me very busy.&nbsp; But I wanted to take a moment and share about some amazing work that has been going on in our writing community.</p>\n<p>Our group has been working on I-Search papers since Christmas. I-Search papers are slightly different than typical research papers. They are usually written in first person and the format allows the student to describe the process of the research as a story.</p>\n', created = 1555819853, expire = 1555906253, headers = '', serialized = 0 WHERE cid = '2:fb1b05dacff6ae40b586bce712a5a798' in /home/active5/public_html/drupal6_multisite/includes/cache.inc on line 108.
user warning: Table './active5_foxes/cache_filter' is marked as crashed and should be repaired query: SELECT data, created, headers, expire, serialized FROM cache_filter WHERE cid = '2:046d04c27b1f8f71dcabd777aa26b319' in /home/active5/public_html/drupal6_multisite/includes/cache.inc on line 25.
user warning: Table './active5_foxes/cache_filter' is marked as crashed and should be repaired query: UPDATE cache_filter SET data = '<p><img alt=\"\" src=\"http://www.catchingfoxes.com/sites/www.catchingfoxes.com/files/resize/blog/File%20Folder-486x295.jpg\" style=\"width: 486px; height: 295px; border-width: 5px; border-style: solid; margin: 10px;\" title=\"\" width=\"486\" height=\"295\" /></p>\n<p>One of the parents in our Write Next To Me Writing Community shared an organizational idea for the reports we&#39;re working on.&nbsp; My son tweaked the idea creating a great tool to keep all his notecards and papers in order.</p>\n<p>I was so impressed! <strong>Every teacher and parent needs to see this amamzingly simple idea that requires NO trips to the craft or office supply store! </strong></p>\n<p>He started with a file folder.</p>\n<p class=\"rtecenter\"><img alt=\"\" src=\"http://www.catchingfoxes.com/sites/www.catchingfoxes.com/files/resize/blog/IMG_0201-486x365.jpg\" style=\"width: 486px; height: 365px; border-width: 5px; border-style: solid; margin: 10px;\" title=\"\" width=\"486\" height=\"365\" /></p>\n', created = 1555819853, expire = 1555906253, headers = '', serialized = 0 WHERE cid = '2:046d04c27b1f8f71dcabd777aa26b319' in /home/active5/public_html/drupal6_multisite/includes/cache.inc on line 108.
user warning: Table './active5_foxes/cache_filter' is marked as crashed and should be repaired query: SELECT data, created, headers, expire, serialized FROM cache_filter WHERE cid = '2:db255b6da5af525cf20e8354421c08a1' in /home/active5/public_html/drupal6_multisite/includes/cache.inc on line 25.
user warning: Table './active5_foxes/cache_filter' is marked as crashed and should be repaired query: UPDATE cache_filter SET data = '<p class=\"rtecenter\"><img alt=\"\" src=\"http://www.catchingfoxes.com/sites/www.catchingfoxes.com/files/resize/blog/Picture%201_4-486x205.png\" style=\"width: 486px; height: 205px; border-width: 5px; border-style: solid; margin: 10px;\" title=\"\" width=\"486\" height=\"205\" /></p>\n<p>I am doing a case study this month of a young man who is a published author.&nbsp; I&#39;ve spent time watching his writing process and discussing his drafts and finished pieces of writing. Yes, I&#39;ve spent hours sitting next to him just watching him write! You can learn amazing things about writing by watching people write and reading case studies of individual writer&#39;s processes to get words on paper.</p>\n', created = 1555819853, expire = 1555906253, headers = '', serialized = 0 WHERE cid = '2:db255b6da5af525cf20e8354421c08a1' in /home/active5/public_html/drupal6_multisite/includes/cache.inc on line 108.
user warning: Table './active5_foxes/cache_filter' is marked as crashed and should be repaired query: SELECT data, created, headers, expire, serialized FROM cache_filter WHERE cid = '2:cc67a2f203c0226af88867cb57394818' in /home/active5/public_html/drupal6_multisite/includes/cache.inc on line 25.
user warning: Table './active5_foxes/cache_filter' is marked as crashed and should be repaired query: UPDATE cache_filter SET data = '<p class=\"rtecenter\"><img alt=\"\" src=\"http://www.catchingfoxes.com/sites/www.catchingfoxes.com/files/resize/blog/Picture%201_3-486x339.png\" style=\"width: 486px; height: 339px; border-width: 5px; border-style: solid; margin: 10px;\" title=\"\" width=\"486\" height=\"339\" /></p>\n<p>Hello Monday!</p>\n<p>Are you excited to write with your children this week?</p>\n<p>I thought we&#39;d stick with the topic of revision. Remember revision is not editing for spelling and grammar usage. Revision goes deeper and gets at the ideas presented in the writing. 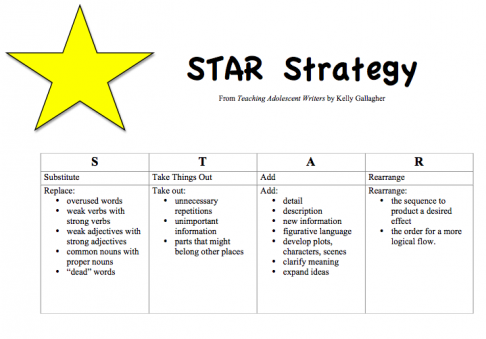 Enjoy the printable I created after reading <em>Teacher Adolescent Writers</em> by Kelly Gallagher.</p>\n<p><a href=\"http://www.catchingfoxes.com/sites/www.catchingfoxes.com/files/WC Week 5 STAR strategy.pdf\">Printable Star Strategy</a></p>\n<p>&nbsp;</p>\n<p>&nbsp;</p>\n', created = 1555819853, expire = 1555906253, headers = '', serialized = 0 WHERE cid = '2:cc67a2f203c0226af88867cb57394818' in /home/active5/public_html/drupal6_multisite/includes/cache.inc on line 108.
user warning: Table './active5_foxes/cache_filter' is marked as crashed and should be repaired query: SELECT data, created, headers, expire, serialized FROM cache_filter WHERE cid = '2:283a53ee47bf647f7d11801d5d20f96f' in /home/active5/public_html/drupal6_multisite/includes/cache.inc on line 25.
user warning: Table './active5_foxes/cache_filter' is marked as crashed and should be repaired query: UPDATE cache_filter SET data = '<p class=\"rtecenter\"><img alt=\"\" src=\"http://www.catchingfoxes.com/sites/www.catchingfoxes.com/files/resize/blog/IMG_1163-437x350.jpg\" style=\"width: 437px; height: 350px; border-width: 5px; border-style: solid; margin: 10px;\" title=\"\" width=\"437\" height=\"350\" /></p>\n<p>When you revise a piece of writing, <strong>think of yourself as a photographer.</strong>&nbsp; Sometimes a photographer takes a photo using a wide-angle lens, getting the whole picture.&nbsp; Sometimes he or she takes a photo close up, zooming in on just one part.&nbsp;</p>\n<p>Writers use both approaches when they revise. They focus on the big ideas of the whole paper, and they work with individual sentences and words.</p>\n<p>The Wide Angle</p>\n', created = 1555819853, expire = 1555906253, headers = '', serialized = 0 WHERE cid = '2:283a53ee47bf647f7d11801d5d20f96f' in /home/active5/public_html/drupal6_multisite/includes/cache.inc on line 108.
user warning: Table './active5_foxes/cache_filter' is marked as crashed and should be repaired query: UPDATE cache_filter SET data = '<p class=\"rtecenter\" style=\"\"><a href=\"http://www.facebook.com/CatchingFoxes\" target=\"_blank\"><img alt=\"\" src=\"/sites/www.catchingfoxes.com/files/resize/social/facebook-64x64.png\" style=\"text-align: center; width: 64px; height: 64px; \" width=\"64\" height=\"64\" /></a><a href=\"http://pinterest.com/kimmrankin/\" target=\"_blank\"><img alt=\"\" src=\"/sites/www.catchingfoxes.com/files/resize/social/big-p-button-64x64.png\" style=\"width: 64px; height: 64px; \" width=\"64\" height=\"64\" /></a><a href=\"mailto:kim@catchingfoxes.com\" target=\"_blank\"><img alt=\"\" src=\"/sites/www.catchingfoxes.com/files/resize/social/mail-64x64.png\" style=\"width: 64px; height: 64px; \" width=\"64\" height=\"64\" /></a><a href=\"http://www.catchingfoxes.com/rss.xml\" target=\"_blank\"><img alt=\"\" src=\"/sites/www.catchingfoxes.com/files/resize/social/rss-64x64.png\" style=\"width: 64px; height: 64px; \" width=\"64\" height=\"64\" /></a></p>\n', created = 1555819853, expire = 1555906253, headers = '', serialized = 0 WHERE cid = '2:48be9f28bc948ea32b70445d0a590c98' in /home/active5/public_html/drupal6_multisite/includes/cache.inc on line 108.
user warning: Table './active5_foxes/cache_filter' is marked as crashed and should be repaired query: UPDATE cache_filter SET data = '<div class=\"fb-like\" data-font=\"verdana\" data-href=\"http://www.facebook.com/CatchingFoxes\" data-send=\"false\" data-show-faces=\"true\" data-width=\"280\">\n	&nbsp;</div>\n', created = 1555819854, expire = 1555906254, headers = '', serialized = 0 WHERE cid = '2:854065b9b61ff8596c8fa62e384317c7' in /home/active5/public_html/drupal6_multisite/includes/cache.inc on line 108.
user warning: Table './active5_foxes/cache_filter' is marked as crashed and should be repaired query: UPDATE cache_filter SET data = '<p><strong>Catch for us the foxes, the little foxes that ruin the vineyards, our vineyards that are in bloom. </strong><br /><em>Song of Solomon 2:15 NIV</em></p>\n<p>Metaphorically, the &quot;foxes&quot; are the damaging attitudes and actions that can creep in and threaten the love relationship of a couple and a home. &nbsp;Catching Foxes is committed to being a resource as you guard against the things that might injure and destroy the harvest you are striving to grow in your home.</p>\n', created = 1555819854, expire = 1555906254, headers = '', serialized = 0 WHERE cid = '2:132a8457abcc78748ef29251eaa8f1d7' in /home/active5/public_html/drupal6_multisite/includes/cache.inc on line 108.
user warning: Table './active5_foxes/cache_filter' is marked as crashed and should be repaired query: UPDATE cache_filter SET data = '<p><a href=\"mailto:kim@catchingfoxes.com\">kim@catchingfoxes.com</a></p>\n', created = 1555819854, expire = 1555906254, headers = '', serialized = 0 WHERE cid = '2:fe7b2055d10a2c25c439ca4710d86502' in /home/active5/public_html/drupal6_multisite/includes/cache.inc on line 108. 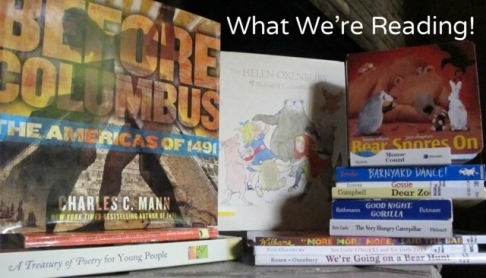 Since they are short, picture books are fantastic lesson starters with older children. After reading the book aloud, we each made a list of genres we would like to explore in our writing this year - one genre for each letter of the alphabet. I'm somewhat of an eclectic homeschool mom. Over the last 22 years, I've found some favorite publishers, favorite texts, and favorite order of teaching topics to my children. 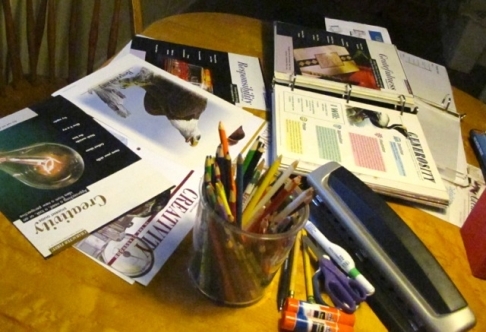 I've learned that homeschooling has to first and foremost work for my children and me. We do a lot of reading and writing, a lot of math and critical thinking, a lot of interacting and talking between parents and students. We do very few workbooks. We have a firm daily schedule that serves as a guide through our day so we all know what to expect, but it doesn't control our lives. We started our '13-'14 school year today! It's my 22nd year as a home school mom. That is a bit unbelievable to be honest. Growing up in Ohio I never started school before Labor Day so for my internal calendar, we're right on time even though most of the schools in our community returned weeks ago. Our family accepted the foster pre-adoptive placement of an infant this summer and life has been a bit crazy. I'll definitely be writing more on this sweet little guy in the future, but for now I want to focus some of my posts on getting our family back into our homeschool routine. I grew up as a year around resident in Lakeside, Ohio. It is one of the few existing Chautauqua in the United States and the unique setting definetly shaped who I am today. 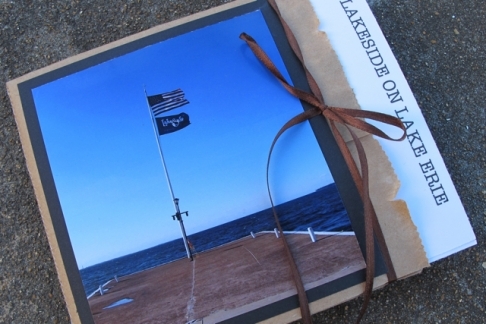 Reflections of experiencing Lakeside, both as a summer and winter resident in my childhood and as a returning vacationer, has filled many journals. It’s been a while since I’ve posted on teaching writing. Life is full. Caring for my home and family, homeschooling our two sons still at home, my graduate classes, and process of becoming foster-adoptive parents has me very busy. But I wanted to take a moment and share about some amazing work that has been going on in our writing community. Our group has been working on I-Search papers since Christmas. I-Search papers are slightly different than typical research papers. They are usually written in first person and the format allows the student to describe the process of the research as a story. 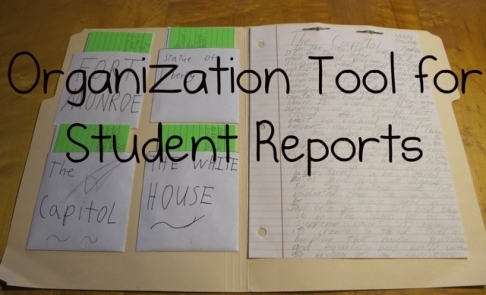 One of the parents in our Write Next To Me Writing Community shared an organizational idea for the reports we're working on. 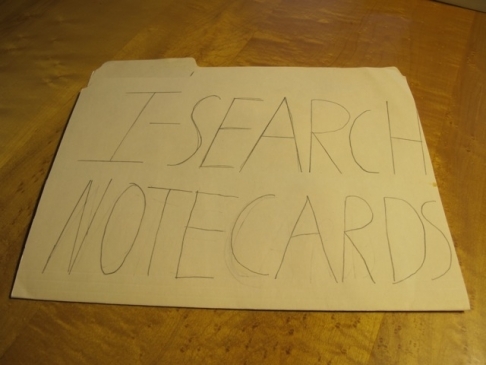 My son tweaked the idea creating a great tool to keep all his notecards and papers in order. I was so impressed! Every teacher and parent needs to see this amamzingly simple idea that requires NO trips to the craft or office supply store! He started with a file folder. I am doing a case study this month of a young man who is a published author. I've spent time watching his writing process and discussing his drafts and finished pieces of writing. Yes, I've spent hours sitting next to him just watching him write! You can learn amazing things about writing by watching people write and reading case studies of individual writer's processes to get words on paper. Are you excited to write with your children this week? I thought we'd stick with the topic of revision. Remember revision is not editing for spelling and grammar usage. Revision goes deeper and gets at the ideas presented in the writing. Enjoy the printable I created after reading Teacher Adolescent Writers by Kelly Gallagher. When you revise a piece of writing, think of yourself as a photographer. Sometimes a photographer takes a photo using a wide-angle lens, getting the whole picture. 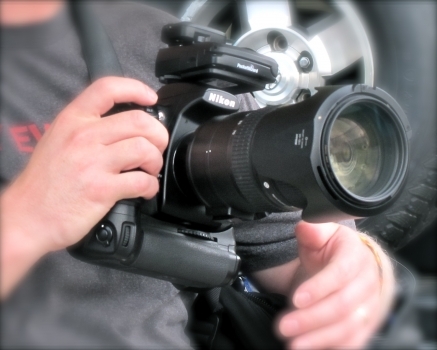 Sometimes he or she takes a photo close up, zooming in on just one part. Writers use both approaches when they revise. They focus on the big ideas of the whole paper, and they work with individual sentences and words.